Recently someone hurt my husband and I. We are still unsure if it was intentional or not. But nevertheless, it did hurt. For several days, I had myself a good ole pity party, allowing myself to feel the sting. My husband was angry. He wanted to confront the people involved and find out why. Then we came across those who hurt us. They acted as if nothing had happened. At first, that hurt even more. We wanted to hash this out. Prove our point. Make them see how wrong they were. Hear their deepest apology. Soon we realized, this issue was hurting us more than them. Either they did this unintentionally, or they were ready to move on. Did they seek our forgiveness? No. Does it matter? No. Are we still supposed to forgive them? Yes. Just because someone does not ask forgiveness doesn't mean we hold on to the grudge. By not forgiving someone, we are only hurting ourselves. Unforgiveness can eat away at the heart and allow anger and bitterness to grow. forgive him, that your Father in Heaven may also forgive your trespasses. God called us to forgive. No where in the Bible does He say forgive after they say sorry. He just says forgive. We need to forgive those who have wronged us and let it go. The Bible tells us to forgive so that the Father will forgive us. What past hurt are you holding on to? 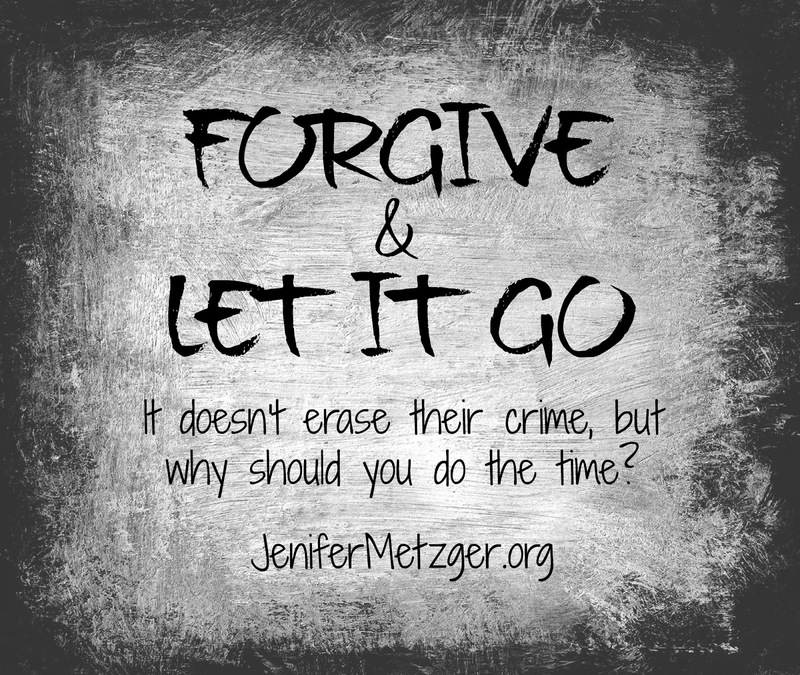 Are you ready to forgive and let it go? Forgiveness is one of the hardest things to do (that the Bible tells us to do), especially when the wrongdoer hasn't given a genuine apology. I agree. It is very hard. But we need to forgive because it only hurts us. Amen! We have opportunity to choose how we respond to an offense. In something that recently happened, I decided that holding a grudge wouldn't help the relationship that I have with someone that is totally near and dear to me. I want communication to stay open between us. I loved this! Such truth. Not forgiving someone only hurts us in the end. Thank you for this reminder today!